or view the online version here. Apologies for the newsletter being a little later than usual this week but we went on a brief holiday down to Plymouth (Where we met Pat) and only arrived home about midnight last night. We had such a lovely time down there and would highly recommend if anyone is thinking of going for a break in the country to go down there, there is SOOO much to see we just couldn't cram it all in so I think we'll definitely be heading down that way again, I'm sure there will be plenty of photo's from the excursion floating around Facebook or the site in due course. Anyway, I hope you enjoy this week's newsletter I'll let you get on with reading it. Once again a roundup of the fund raising activities that have been going on and that continue to run. First of all, thank you all very much indeed for continuing to shop through Easyfundraising, even if we only earn 5p through Ebay or something, it really does add up and at the moment the total raised this quarter stands at £44.75, which is absolutely brilliant for doing nothing, other than clicking through the Easyfundraising site. So, if you know anybody that shops online, let them have our link and ask them to register and shop through the fundraising link. Spread the news on Facebook, Twitter or anywhere else you visit regularly on the internet. It's not very often you get something for nothing so take advantage and boost the rescue funds. The raffle is still going, it is going to be drawn on June 4th, that's next Saturday, so get your tickets 50p each or £2 for five. Limit is £2.00, please help, there are five prizes to be won with the top prize being a £10 Amazon voucher! So any new member who would like to join in, please feel free to pm me and I'll explain how to buy your tickets and Good Luck to you all that have them already. High Five Fund is still going, again, any new members that would like to join in, it's just a case of putting any spare 5p's in a jar and on August 21st we are going to count up and the amount you collected, you can donate to the Rescue Fund. Rescues are coming in thick and fast and really every penny counts, as we know, it's a costly affair looking after a Grey. The usual things are still for sale, avatars, keyrings and fridge magnets. Well it's newsletter time again and the AGPC forum has been very busy for the last fortnight, so what's been happenning. Paula being as observant as ever found two week old baby Greys that she had no previous knowledge of, Pip was on top of the world disturbing a peregrine falcons nest and Pat stated that her bengalese finches will not breed again, we eagerly await the next clutch. Sorry to say we have had a couple of formal complaints this week, first from The Hoff who has been receiving weird and rather rude fan mail in Russian, and second from Hugh Fearn Whittingly who has complained about an intrusive and persistent stalker. Unfortunately the members can not be named as they have both taken out a super-injunction. Nice to see Irina and Karen posting on the forum. Paula and Rick visited Cornwall this week, Rick tells me the pasties were delicious and well worth the horror of coming face to face with Pat. Donna lost her head (and not with Karmen) and Lesley found a great new use for her crutches, stirring up arguements in her threads. Who's Planning On Going To The Stafford Bird Show? As A Teenager What Did You Look Like? 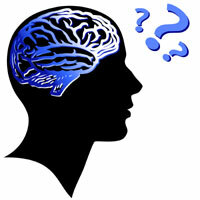 Hi........I Am A Sad Confused Newbie! 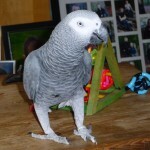 To ensure our newsletter always reaches your inbox, please add newsletter@africangreyparrotcentre.co.uk to your address book. 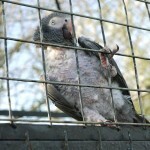 If you prefer not to receive news from the African Grey Parrot Centre ™ in the future, you can unsubscribe here (ensure you are logged into the forum for this link to work properly).